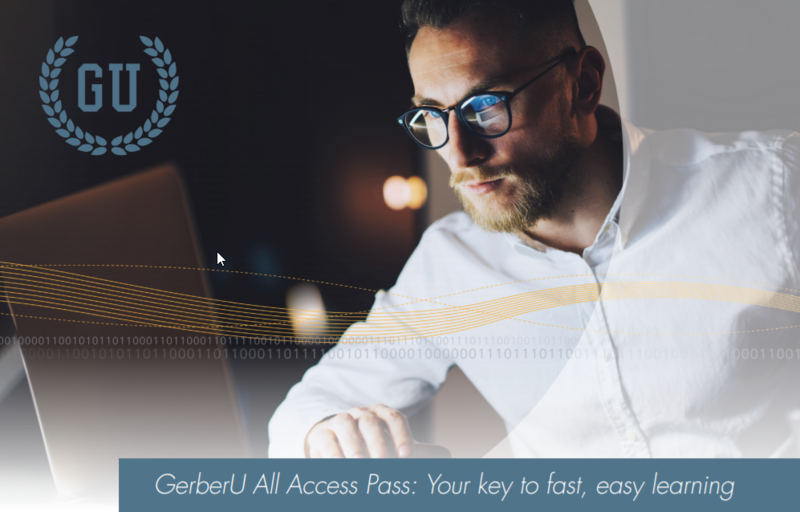 The GerberU All Access Pass gives you access to Gerber University trainings and courses at the click of a button! You can access GerberU content whenever, wherever, and as much as you’d like without having to seek budget approval for every individual training. The GerberU All Access Pass makes registering for training easy and can save you up to $6000! GerberU offers a variety of self-paced and live virtual instructor led trainings. Topics include everything from the newest software updates, to how to properly maintain your cutter. See attached flyer at the bottom of this post for more info. Note: Cost is flat fee pricing per pass. This is not a group pass, each individual user needs their own pass. Passes are valid for one year from date of purchase. Buy Now! 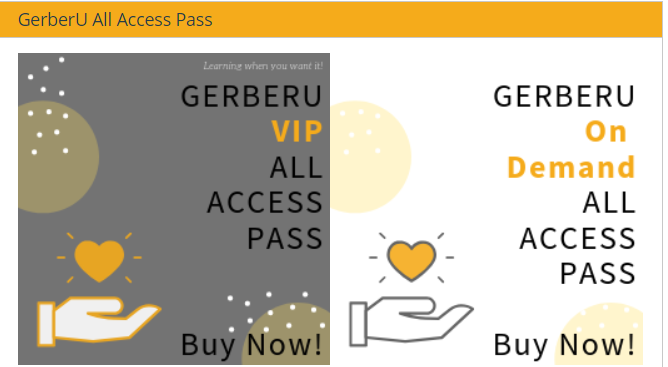 Navigate to GerberU.com and buy your pass from the home page, or use the links above.